Our current pastor is Brother Marty Hoskins. Brother Marty was born and raised in the state of Kentucky as the son of a Primitive Baptist Preacher. He joined the Rose Hill Primitive Baptist Church in Maynardville, TN in May of 1986 and made his first attempt to preach the gospel in July of 1986 at the age of 19. Subsequently, he was ordained to full work of the gospel ministry in April of 1988. The following year, Brother Marty was married to Twanna Cox whom he had met at the Rose Hill Church. Shortly following the wedding, Brother Marty and Sister Twanna moved to the Metro-Atlanta area where they joined the Macedonia Primitive Baptist Church in Cartersville, GA. Within a few months of moving to Atlanta, Brother Marty began ministering to the Shoal Creek Primitive Baptist Church in Canton, GA where he was soon called as pastor. He began serving there as pastor in March of 1991 and continued to serve there until March of 1997. During this time, Brother Marty and Sister Twanna celebrated the birth of their first child, Andrew in 1994. After serving Shoal Creek, he and Sister Twanna moved to Southeast Georgia, where Brother Marty was called to pastor the Zion Primitive Baptist Church in Brunswick, GA. Brother Marty began serving there in September of 1997 and that service continued until September of 2007. During this tenure, two more children were born into the Hoskins family, Hannah – 1997 and Madysen (Maddie) – 2003. 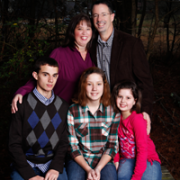 In early 2008, the Lord saw fit to bring Brother Marty and his family back to the Metro-Atlanta area. In early 2008, the Dallas Primitive Baptist Church called him as pastor, and he as been serving the Dallas Church since that time.